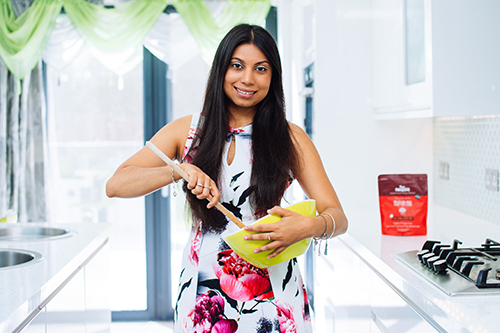 Since launching the bars, and my unique range of baking mixes, I’ve launched my products into major supermarkets like Asda, Co-op and Ocado, high street retailers like TK Max, high end health conscious stores like The Natural Kitchen, Vital Ingredient and Sourced Market and overseas to Switzerland, Iceland, Portugal and more. 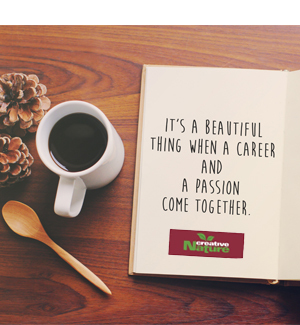 Julianne has a look at Creative Nature and sees a sinking ship in heavy losses (over £56,000!). Product range includes incense, candles, statues and some superfoods, but there's potential in the name and logo and that excites her. 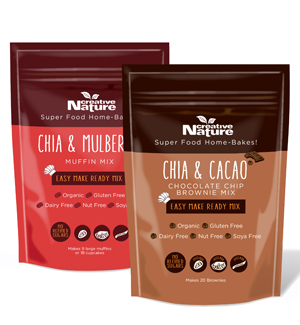 With a focus on healthy eating, superfoods and 'Free From' snacking (due to Julianne's severe allergies to peanuts, tree nuts, certain seeds and additives), the new superfood range was established and work began on a snack bar range like no other on the market! After near complete failure with the larger bars (we're not afraid to admit when we get things wrong), we went back to the kitchen and created our 38g bar range that was more affordable and tasted better. 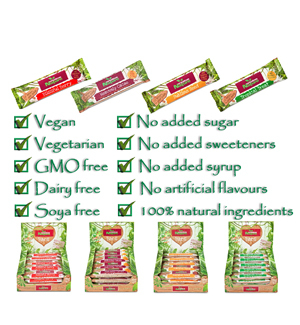 10 months of trial and error gave us a lot more confidence that these bars would succeed where the 50g bars flopped. After pitching our 2 favourite bars to H&B in July, we actually launched all 4 flavours into 300 stores nationwide 1 month later! 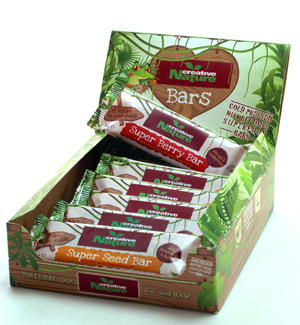 The revamped 38g bars were an instant hit! We showcased our new bars at the Lunch! 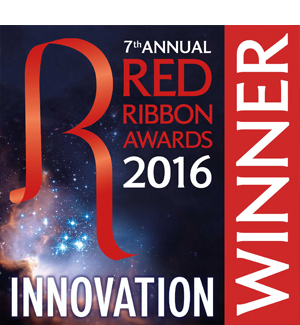 Exhibition in London and were a finalist in our first ever award entry with our bars being chosen in the Innovation category. We finished just behind Vivid Matcha! 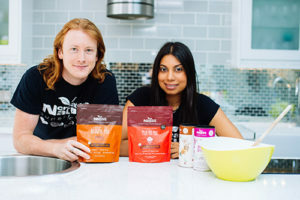 We had high hopes, strong numbers and dreams to launch into a supermarket within the next 6 months, but investors didn't want to know and we failed to raise our £150k target. Comments like "you're too young", "unrealistic targets" and "just a little girl" didn't deter us though, so we focused on proving the haters wrong. 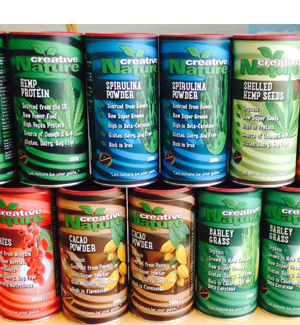 We needed a new design to help push our brand into the mainstream markets, so out went the congested, plain tubs and in came a vibrant new range to leap off the shelf. 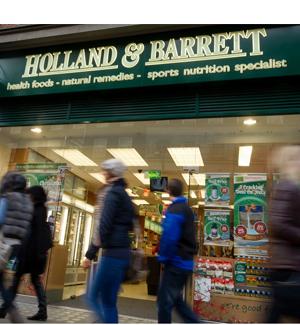 We launched the new tub prototype at Natural & Organic Products Europe in Earls Court and held our breath! 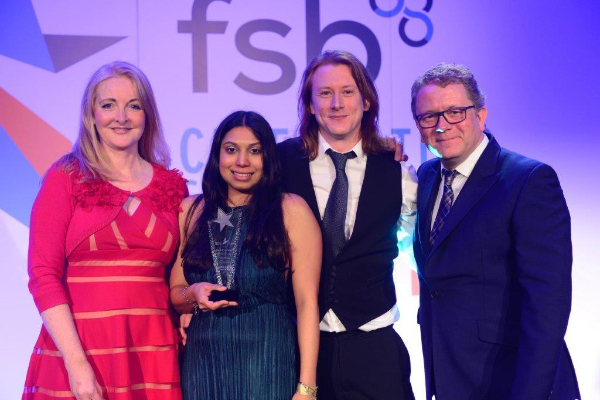 Julianne is named Young Entrepreneur of the Year for the South East at the National FSB Awards in London and met Richard Reed, co-founder of Innocent Smoothies! 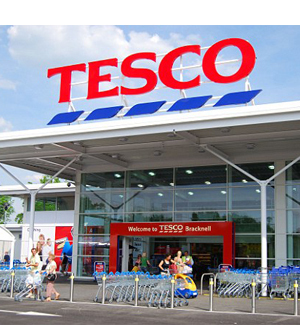 Just 5 months after investors laughed at our predictions of becoming the 1st UK superfood brand to get a listing in a major supermarket, we launch into Tesco! After getting the call in May that they wanted to launch, we had just 2 months to upscale our production for over 10,000 tubs, that all needed individually over labelling with the new designs that were months off being ready! We managed, somehow! 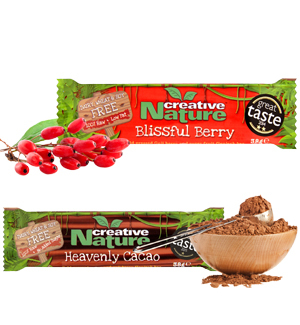 Our Blissful Berry healthy flapjack bar becomes the first cold-pressed snack bar to ever win 2 Gold Stars at the Great Taste Awards, and blind taste test of over 10,000 products every year. Julianne has FSB Surrey Clean Sweep! 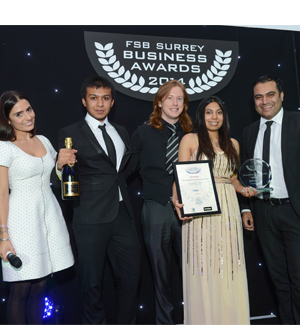 Julianne walks away with the Overall Winner's trophy at the FSB Surrey Awards after picking up the Real Life Entrepreneur and Young Person in Business awards earlier in the night. 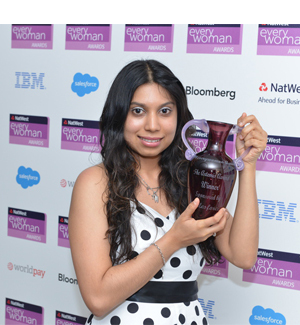 Julianne becomes the youngest winner of the NatWest Everywoman Artemis Award at a beautiful awards evening at The Dorchester Hotel. 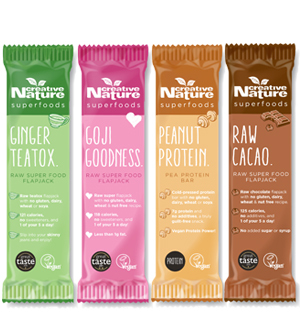 After a busy 2014, we relaunched the bars with more vibrant colours to help them stand out on shelf. 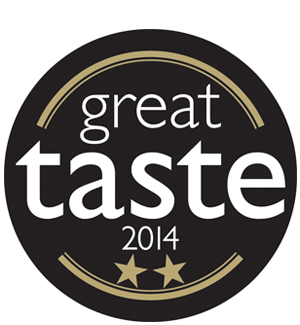 We also needed our Great Taste logo on there! Julianne had such a successful event speaking for The Business Show in 2014, they ask her back in May & December 2015 to keynote. Her talks are packed out, with many visitors being turned away as there was no more space in the room. Frustrated at the lack of sales in store, yet always selling out when sampling at shows, it was time to do a huge re-brand of the bars, updating the designs, cleaning up the text and positioning ourselves at the front of the 'food-to-go' sector. 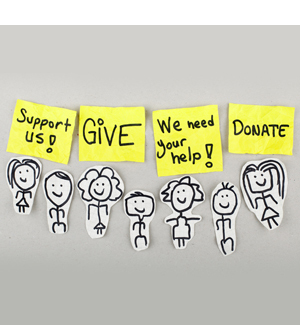 We changed the names, flipped the designs vertical and opted for "less is more". 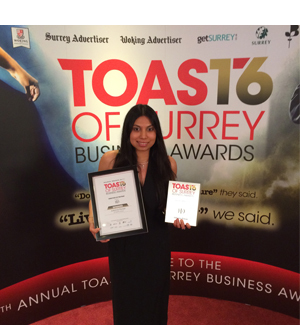 Julianne picks up Director of the Year at the Surrey Toast Awards, the headlining award on the night. The judges commented that she was the 'clear winner'. 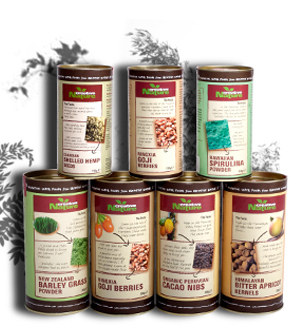 The new packaging is a hit and gets listed straight away in Asda stores, along with our brand new baking mixes. 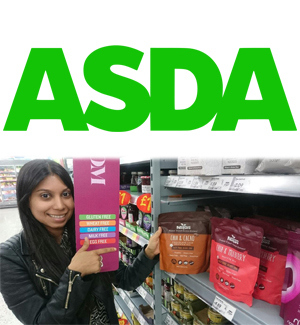 That's 6 products on Asda's shelves! We went straight to our nearest one and bought a mix just to see it go through the till. 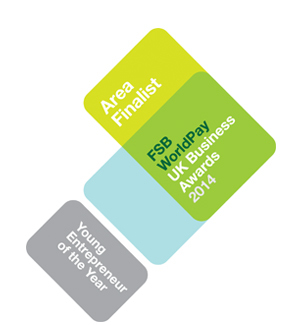 We picked up the Family Business Place Innovation Award at a beautiful ceremony at Wembley Stadium. 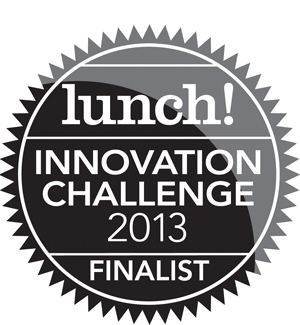 The judges were amazed at how our products could taste so good and be healthy for them! The Guardian's Leader of the Year! Julianne is named Leader of the Year by the Guardian Newspaper at the Small Business Showcase Awards! 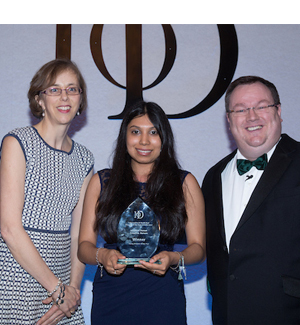 After an incredible 2016, with a hugely successful launch into Asda, Julianne was named Young Director of the Year in London and the South East by the IoD (Institute of Directors). 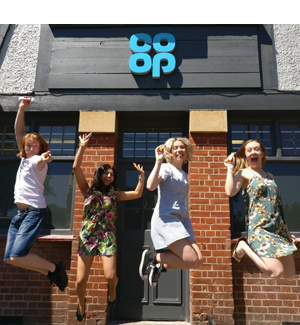 In April, Co-op told us they were going to launch us into 400 stores. In May they told us they were actually going to launch us into 2,300 stores across the country! In June, we delivered 6 full pallets of Goji Goodness and Peanut Protein bars into depot. 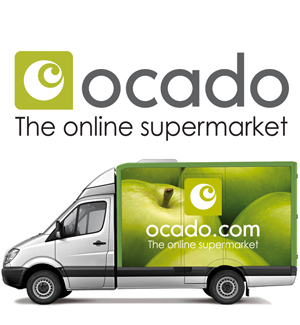 The 2nd supermarket launch in a week! 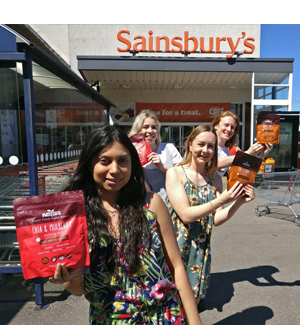 This time Sainsbury's launched our unique, allergen free baking mixes into 500 stores. The team went straight to our local Cobham store to see them on shelf in the Home Baking section. 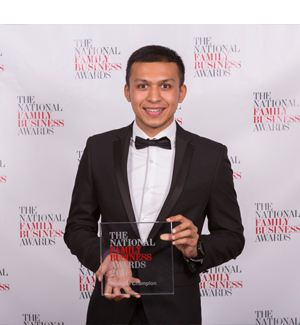 FBP Retail Business of the Year! 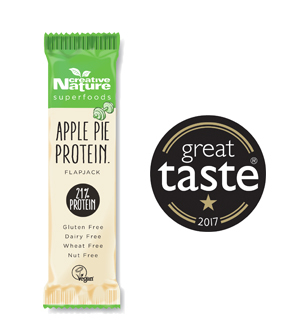 To further establish Creative Nature as having the Greatest Tasting range of cold-pressed snack bars ever created, we made the first High Protein snack bar to ever win a Great Taste Award! 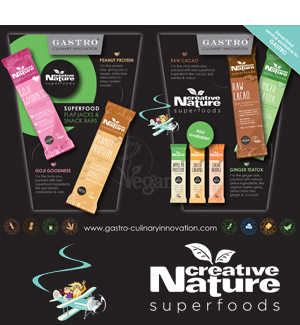 Creative Nature signs an exclusive contract with Airline experts Gastro Culinary to launch the snack bars onto planes, replacing the current offering with something healthy, tasty and allergy free! 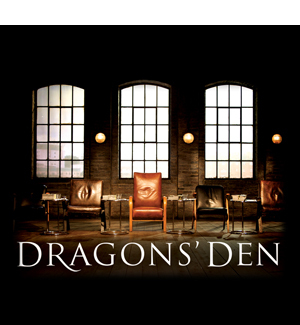 We make an appearance on BBC 2's popular investment program, Dragon's Den! Arguably the most nervous we've ever been, EVER! 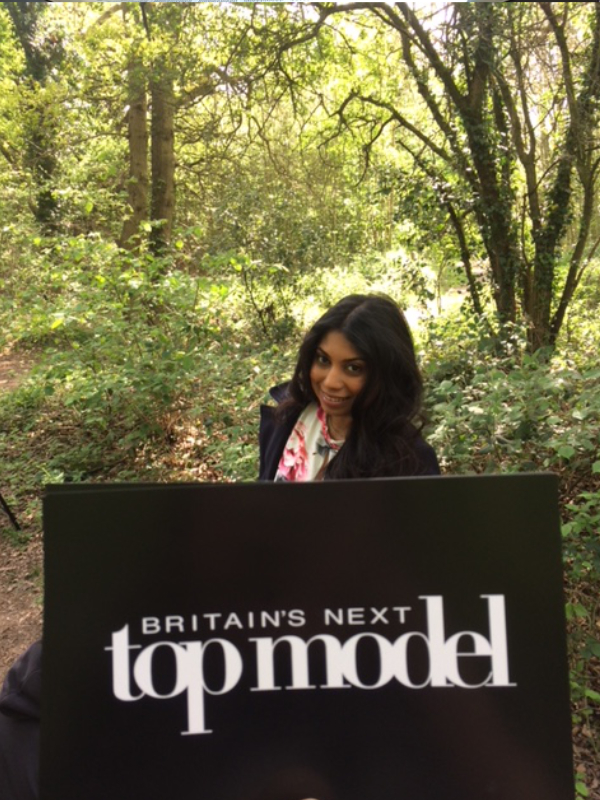 Julianne and Creative Nature make an appearance on Britain’s Next Top Model where the contestants had to film an advert showcasing how our beautiful bars are free-from all the nasties and bring snacks back to nature! 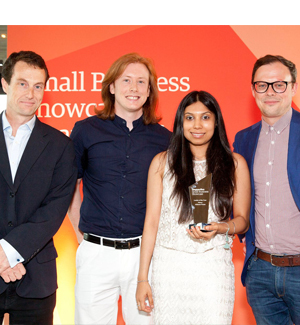 Creative Nature were announced as the UK Small Business of the Year 2018 at the National Final of the FSB (Federation of Small Businesses) Awards! The night ended up being even better when we were named overall winners at the awards! We were up against 2000 entries on the night and were completely shocked when they announced that we had won! 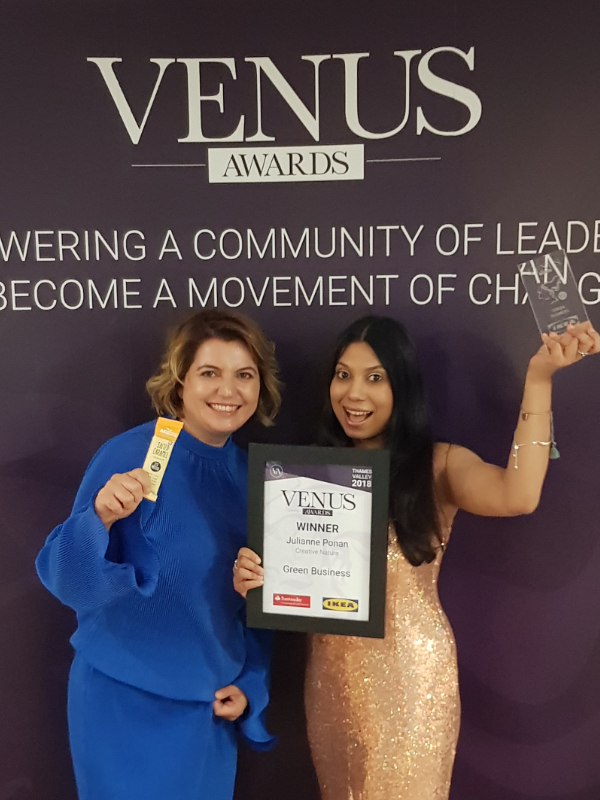 We won The Green Business of the Year Award at the Thames Valley Venus Awards which were sponsored by IKEA! The award was in recognition for our sustainability as a company and our desire to save the planet! 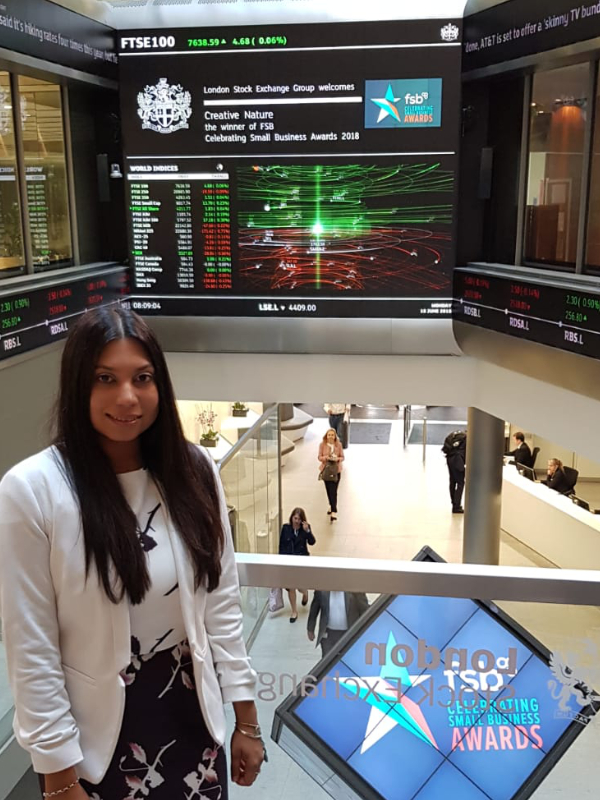 Opening of the London Stock Exchange! After an amazing win at the FSB National Awards, Julianne opens the London Stock Exchange accompanied by National Chairman, Mike Cherry and Regional Chairman, Brian Woods as well as family and friends! 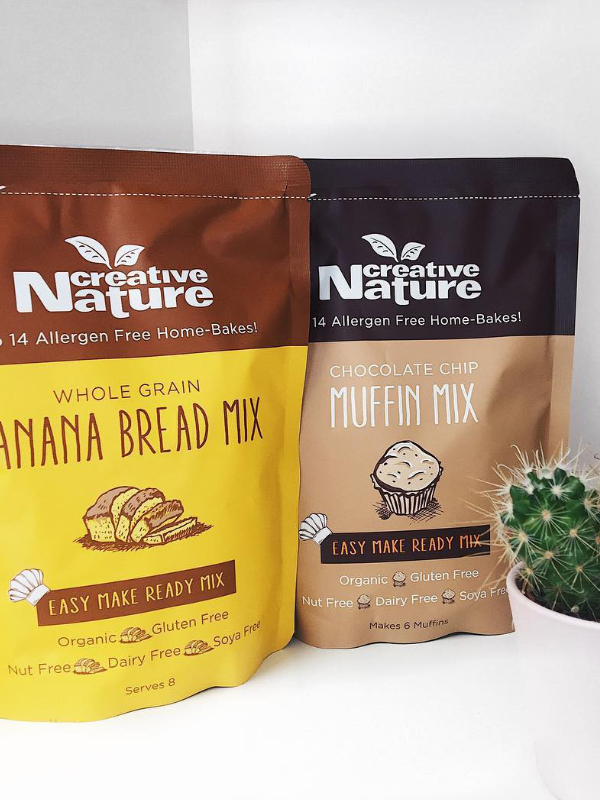 Due to such amazing feedback of our original allergy-friendly baking mixes and high demand, Creative Nature launches not one, but two new baking mixes! Free-from the TOP 14 allergens, the new Wholegrain Banana Bread and Chocolate Chip Muffin mixes are great for those on the go and looking for easy and delicious treats to make at home! 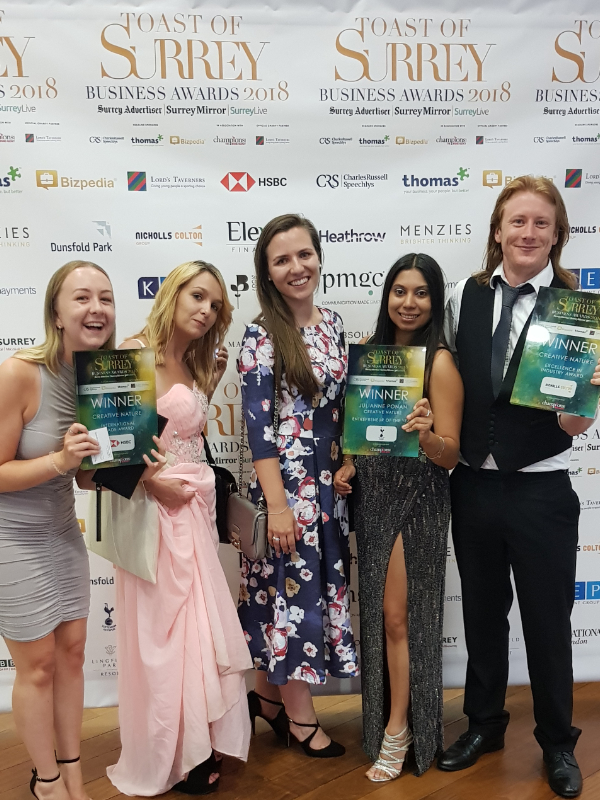 The team attended the Toast of Surrey 2018 awards at Mercedes-Benz World in Weybridge and we walked away with 3 huge wins: International Trade Award, Excellence in Industry Award and Julianne also won the Entrepreneur of the Year!